See these two misplaced orange string blocks? They are not misplaced any longer. I’ve ripped and resewed and now they follow the diagonal black blocks. I’m so happy that I only had to rework two of these little guys! In return, I am altering two blouses for her. Yes, I volunteered…she didn’t ask for anything. Yes…I hate mending and alterations! I can think of lots of things I’d rather do. I have a couple of clothing items that have been sitting in the sewing studio for months. They are mine…so I can let them sit there if I want. And I am. 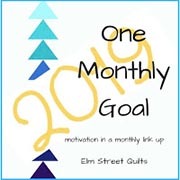 One of the quilt guilds that I attend is asking members to create name tags. And a friend gave me an introduction to beading. So I thought I’d combine the two. 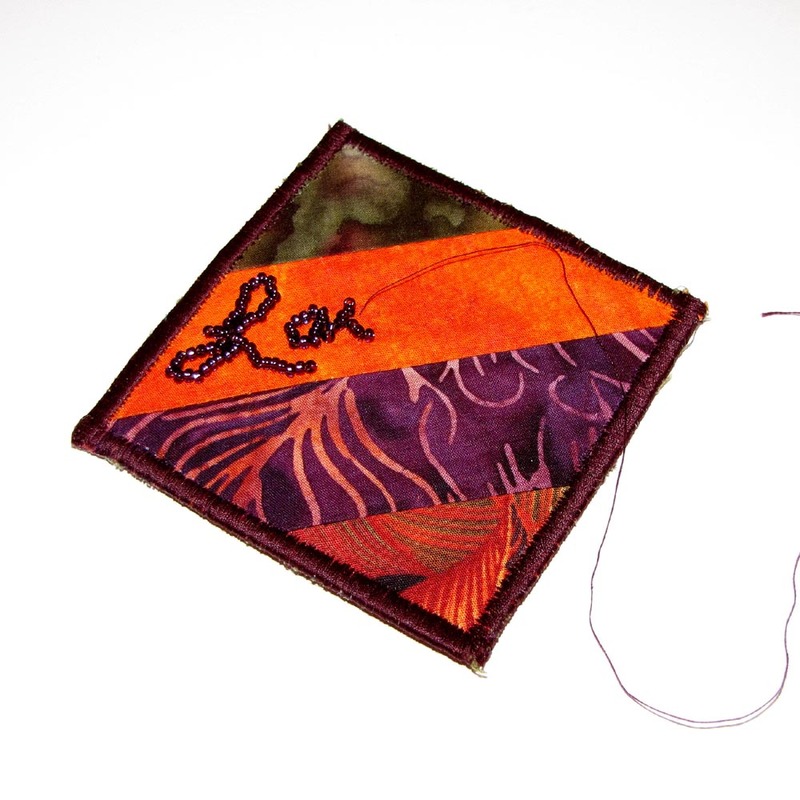 I found a leftover scrap from a quilt project to use for my tag (Oh yes, I love orange!). Then I had to make things difficult for myself. 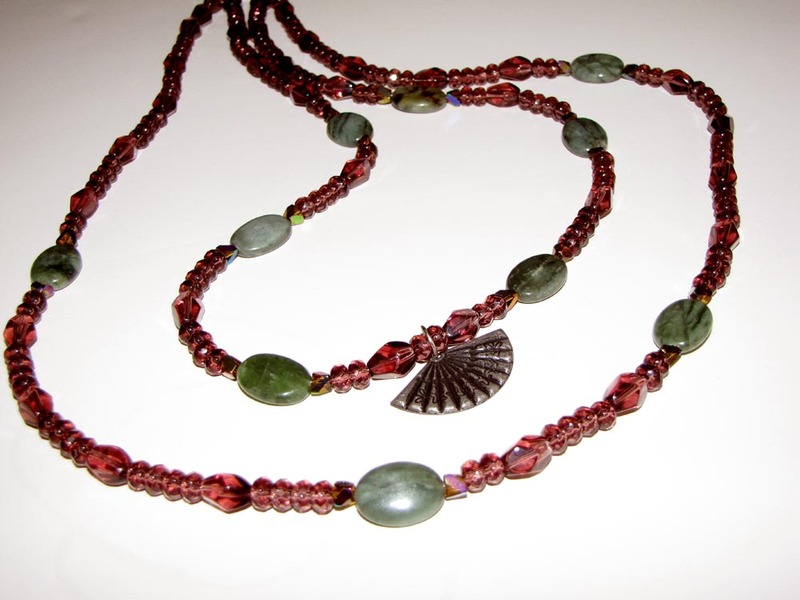 Why did I think such a simple thing should be complicated with beadwork? I hope my name is somewhat readable when I’m through with this thing. What’s the small stuff that you are working on? Since I am not at home where I can finish sewing my version of Bonnie Hunter’s Orca Bay Mystery Quilt, I drew the design in EQ7. 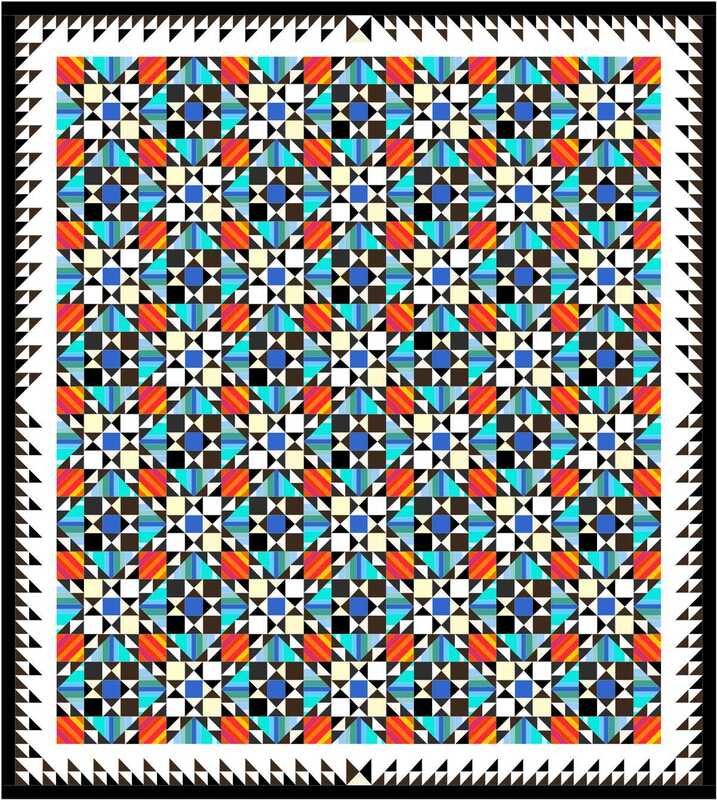 This gave me much needed practice with EQ7, and a clear vision of the quilt. 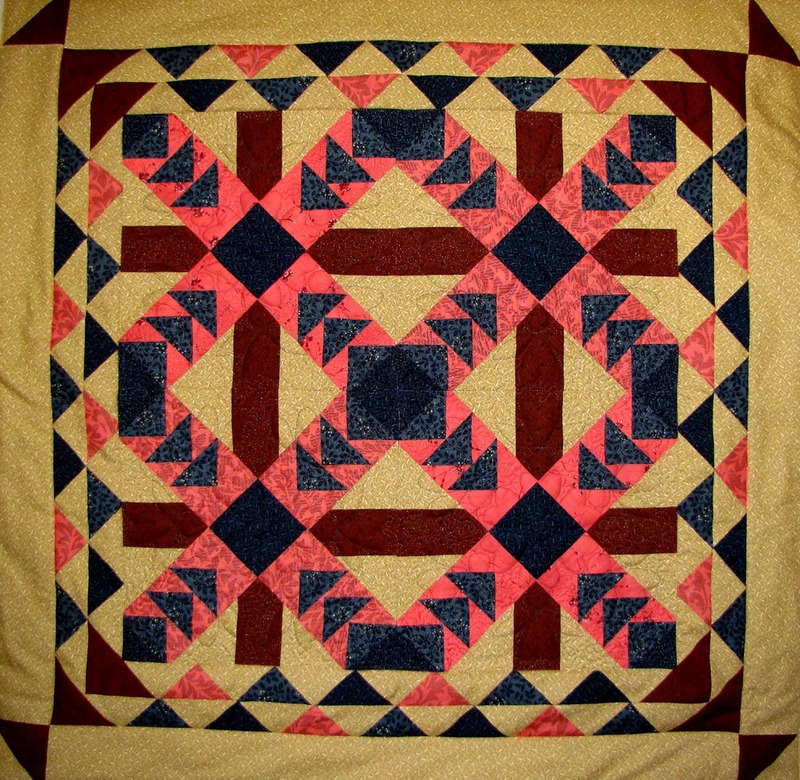 In reading Yahoo Quiltville posts and link-ups, I’ve noticed that there has been some discussion on layouts. One indeed must be careful about positioning the many blocks. It is very easy to turn a block the wrong way. 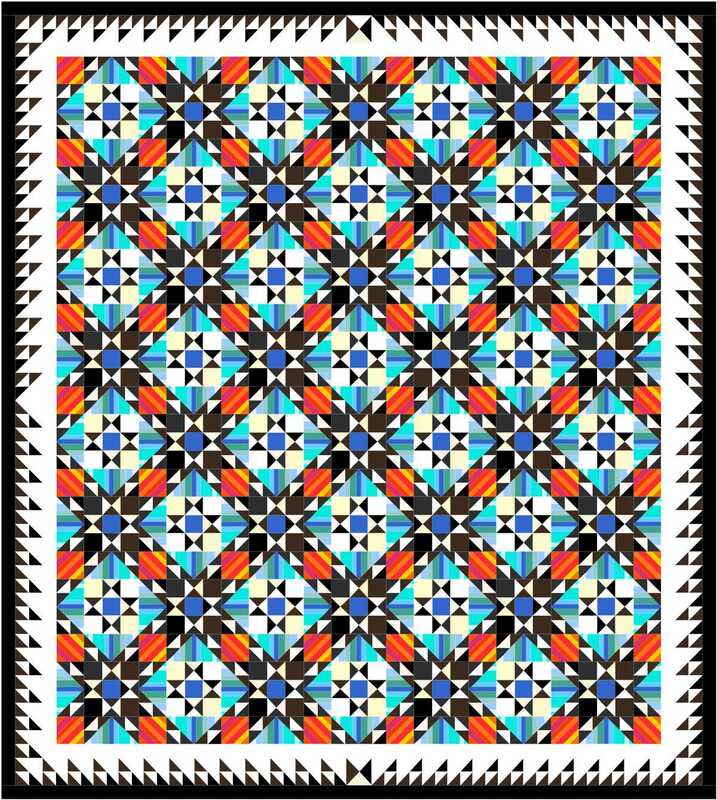 I’ve only used color here to bring out the design of the quilt. There are many terrific color combinations posted by Orca Bay participants. The first layout shows Bonnie’s direction; the blue (red for Bonnie’s version) string triangle blocks all point to the light Ohio star blocks. In both layouts, the orange string blocks follow the diagonal lines of the layout and create a wonderful secondary design element. The blue string blocks in Layout 2 all point to the dark Ohio stars. 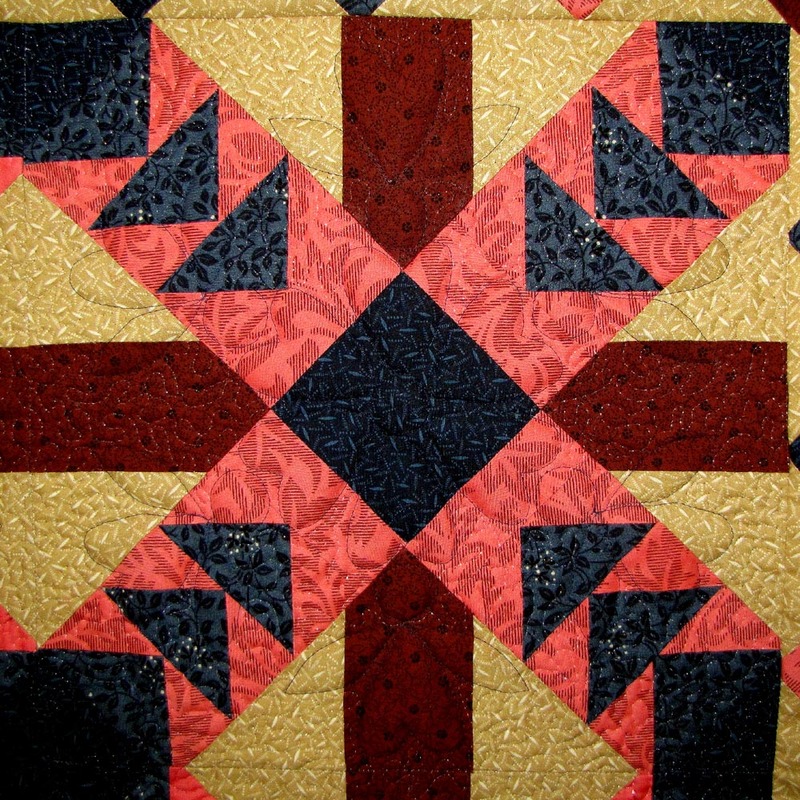 This one change creates a dramatic difference in how the quilt looks. There is no right or wrong; just personal preference. You decide. I just discovered that I forgot to turn a couple of orange blocks in Layout 1. Like I said…it is easy to turn a block the wrong way in this quilt. LOL! 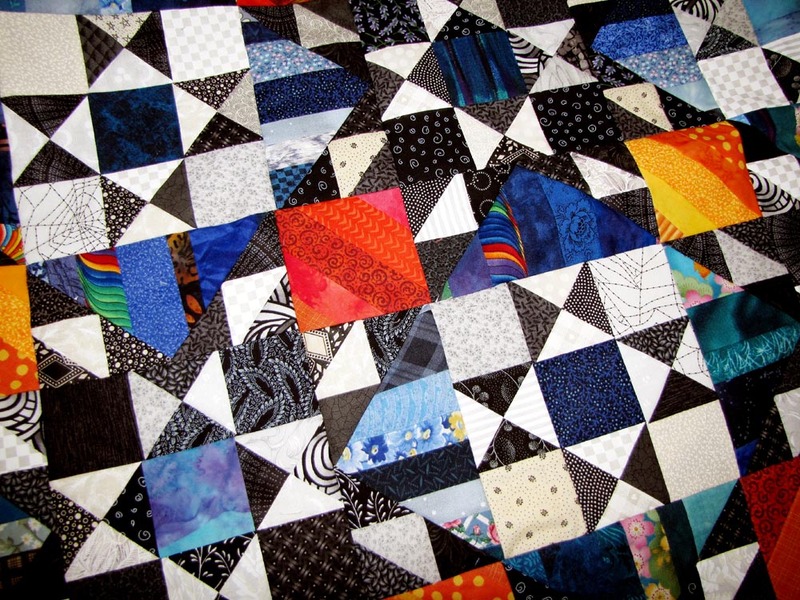 For Bonnie Hunter’s Orca Bay mystery quilt – Part 1, click here. 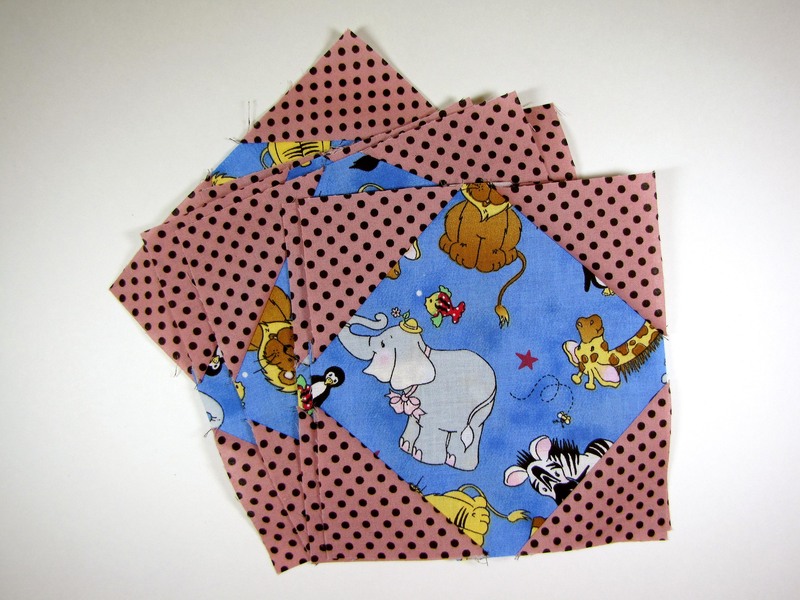 For Bonnie Hunter’s Orca Bay mystery quilt – Part 2, click here. 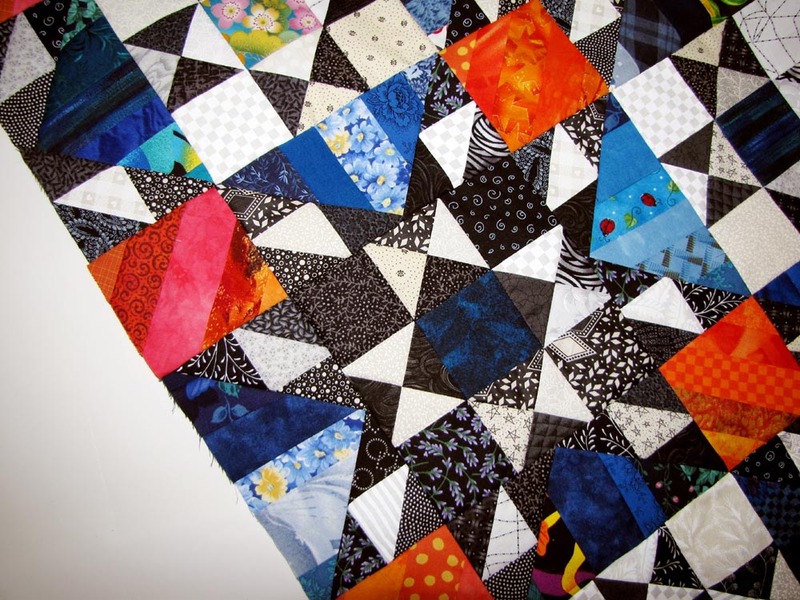 For Bonnie Hunter’s Orca Bay mystery quilt – Part 3, click here. 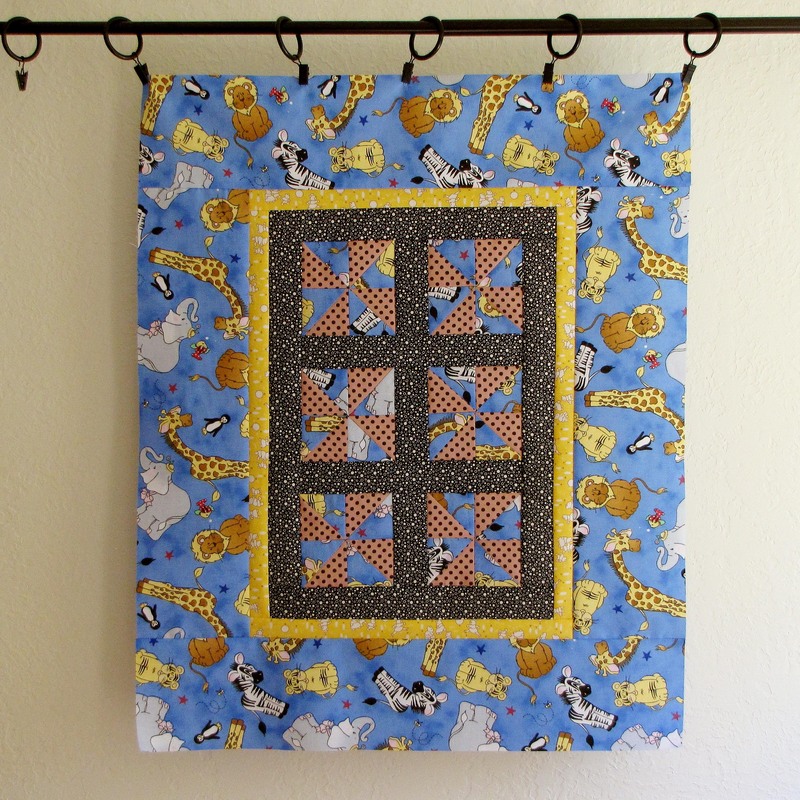 For Bonnie Hunter’s Orca Bay mystery quilt – Part 4, click here. I’m back from a terrific road trip with Hubby and ready to sew! Having said that, what should have been a pleasant hour on a rainy afternoon machine quilting a simple doll quilt, turned into a discouraging several hours of sewing and ripping. My beloved Bernina (a 1530 acquired in 1997…for those who want to know these things) was skipping stitches like crazy. I tried switching needles, switching threads, switching tensions all to know avail. She has really had a meltdown and needs to make a trip to the hospital. With Tim Gunn’s words in my head, “Make it work!”, I got out my lonely little Janome Gem Gold and got reacquainted. With the help of some quilting books (they make a nice extension table) and the Supreme Slider, she did a great job! I am quilting with Aurifil 40 wt. #4665 in the top and WonderFil Invisfil 100 wt. #103 in the bobbin (and they work together just fine). I’m glad I started with the doll quilt because the baby quilt will be a real challenge with this tiny machine. There is just not that much space to work with. 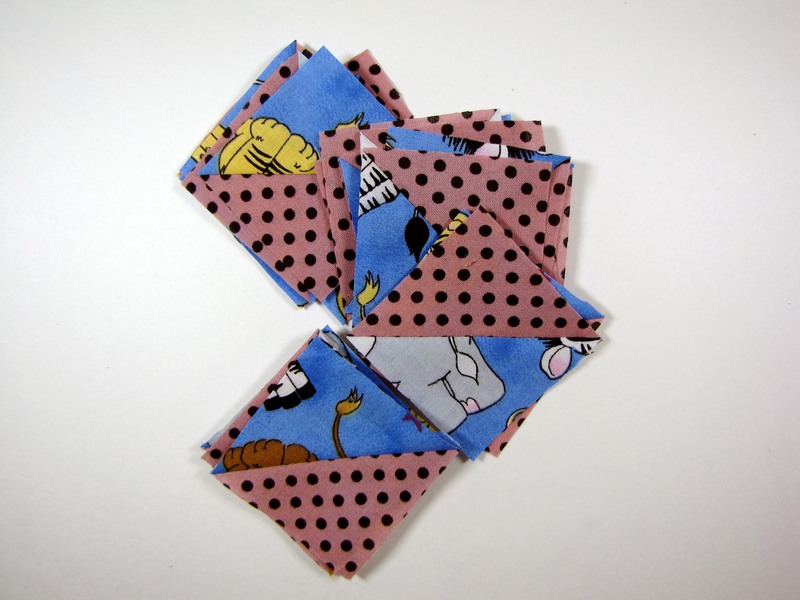 Teeny arm space…too teeny for machine quilting! The doll quilt and baby quilt aren’t going to make it on the runway, but they have a higher calling and they will be ready. I am sneaking in some time (slacking off from garden and kp duties if you really want to know) to work on the baby and doll quilts. I’ve pin basted, so it is on to machine quilting. I am using my beloved machingers quilting gloves, denim sharp needles (in this case a 70/10 will do), and a Little Genie Magic Bobbin Washer. Yes, I know I could use a new pair of gloves. But hey…you can see how well I like them by how worn they are! Since I am going to begin by stitching in the ditch, I don’t need decorative thread. I’ve chosen 100 wt. WonderFil Invisifil 103 for the bobbin and Sulky Premium monofilament for the top. 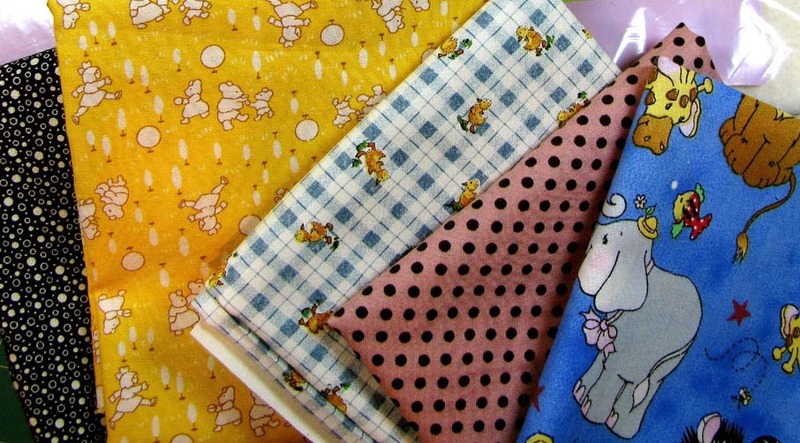 These are fine threads that won’t add weight to the quilt and will virtually disappear in ditch quilting. I stitch in the ditch for two reasons. 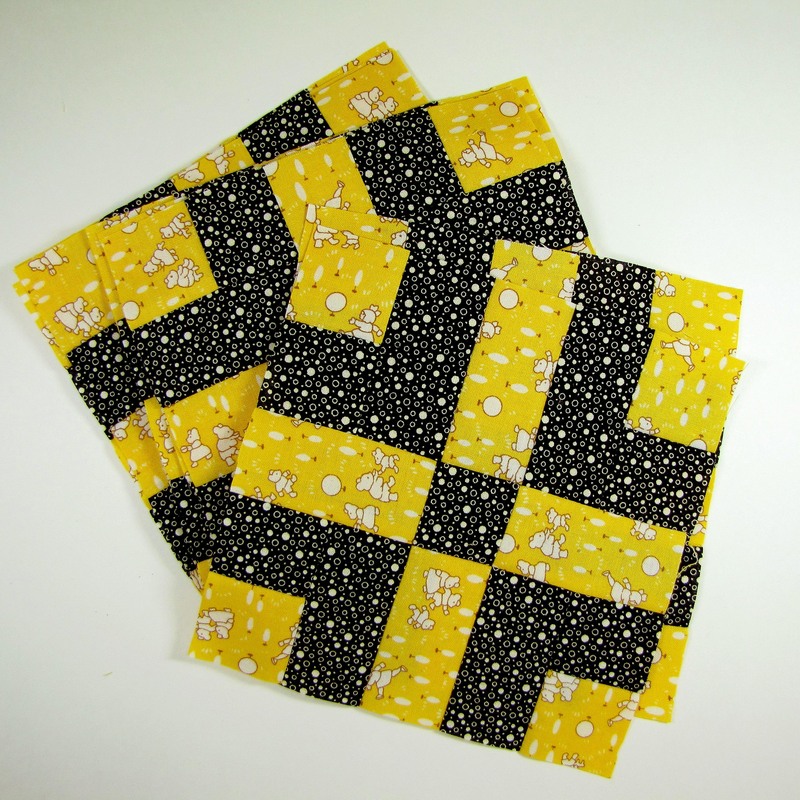 I can remove safety pins while stitching, which in turn, removes some of the weight of the quilt, and removes obstacles when I get around to free-motion quilting. Since I am quilting on a domestic machine, as opposed to a long-arm, I feel the need to stabilize my quilt sandwich for free-motion quilting. I am using a walking foot to evenly feed the layers as I stitch. And then I realized how silly I was for using the monofilament at all (You never do silly things, do you? ), so I switched to the WonderFil Invisifil for both the top and bobbin threads to work on the baby quilt. And I was silly, just in case you were asking yourself this ever since I gave my thread choices, because the Invisifil thread is so fine that it is all that is needed. Duh! Oopsies…missed the ditch a little bit! Had I had my thinking cap on (which is almost always missplaced these days), I would’ve switched to black Invisfil for the bobbin thread. Why? Because the backing on the baby quilt is black. Lucky for me, it worked out anyway. I wasn’t so sure that I was going to like it when I bought the fabrics, but I love it! I even got creative and sewed the leftover triangles from the snowball blocks into squares. They were so cute! What are you working on? Writing a novel? Redecorating a room? Building an ark? I’d love to hear from you! Would She Still Love Me? So here is the WIP I am working on (I’d love to see what you are working on!). What possessed me to use these colors together? My, but this isn’t a very pretty tabletopper! It started out innocently. 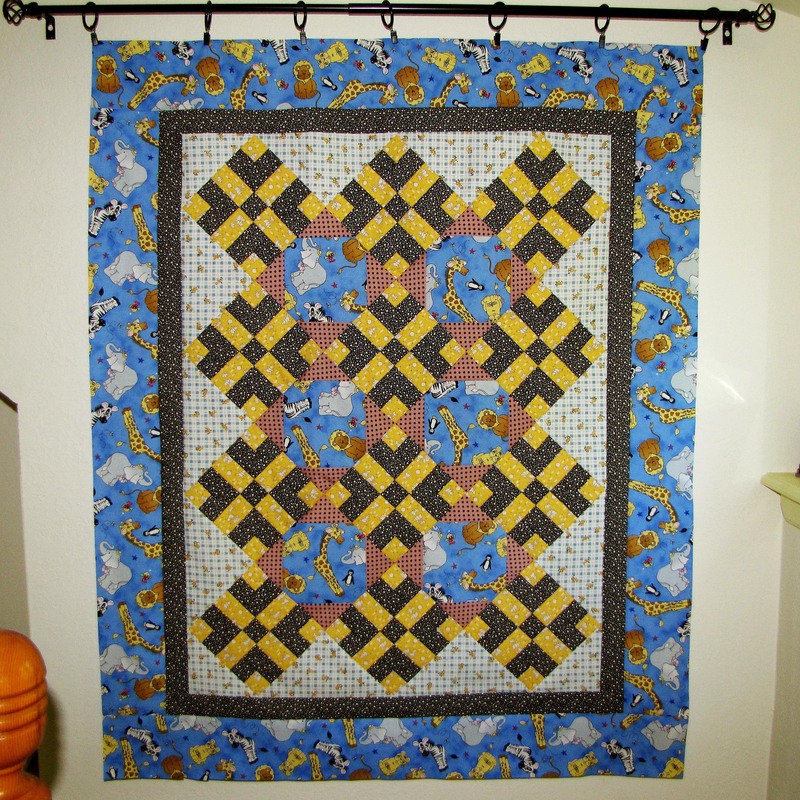 I went to a Washington State Quilters-Spokane Chapter guild meeting several years ago. (Yes, I still attend meetings regularly…it is an addiction I have no intention of discarding. This is a UFO after all…they can be any age.) A pattern for the Spokane block was handed out (I don’t think this is really the name of the block, but I’ve been wrong before. Perhaps one of you can enlighten me…I’d love that!). I had to have it…I am a Spokane native. I wanted to do some stash busting as I recall. As my friends in-the-know will tell you, I don’t care for pink and blue (although the older I get, the more I recognize their importance). I decided to use up the pink and blue in my stash. I guess I thought the other colors would balance it out for me. Hmmmmm. In hindsight, I should’ve used pastel pink/blue, white or cream (I’m still growing…and I’ve been quilting for years). I still need to quilt the borders and add the binding. But then…I wonder if I can ship it off to my daughter or my daughter-in-law? Would she still love me?